Low cost airline Air Arabia Maroc is considering introducing flights to the Serbian capital, the Moroccan Embassy in Belgrade has confirmed. It comes after the national carrier Royal Air Maroc, which showed initial interest in flying from Casablanca, decided against the move. The Moroccan Embassy is now hopeful the budget airline will introduce flights from one of its secondary bases, which include Agadir, Fez, Nador and Tangier. Air Arabia Maroc's parent company, Air Arabia, will launch flights from Sharjah to Belgrade this June. Its Moroccan offshoot boasts a fleet of seven Airbus A320 aircraft and maintains flights to a number of cities in western and central Europe. The Moroccan Embassy is also exploring the possibility of charter flights with Serbian tour operators. "There is demand from both sides", Ambassador Mohammed Amine Belhaj said. Last week, Serbia and Morocco signed a memorandum of understanding that seeks to strengthen and promote cooperation in the field of tourism on the basis of reciprocity and mutual benefit. It follows on from the revision of the Air Service Agreement between the countries after more than forty years. Both sides have called on the private sector and tourism professionals to explore all opportunities for cooperation and have agreed for the development of an expanded cooperation programme in the tourism sector. There have never been nonstop services between Belgrade and any point in Morocco. Belgrade Airport is currently served only by two African carriers on a year-round basis, with Tunis Air maintaining services from Tunis and Air Cairo from Hurghada. The airport recently said it had begun talks with a number of carriers over the introduction of new routes, as well as upgrades in frequencies and capacity on existing services. The President of operator VINCI Airports, Nicolas Notebaert, noted, "We are already working on bringing new airlines to Belgrade. Even before we took part in the concession tender we held talks with airlines that could launch new routes to the city. We never make announcements before the carrier itself, but preparations for the summer season are well under way. We have nonstop flights to Europe, and we are looking to considerably increase frequencies on those services. We need some more time to work on flights lasting for over seven hours. However, we are working on all fronts, on both short and long hauls. There will certainly be new routes from Belgrade this summer". Air France, Air Serbia, Air Arabia, Air Cairo, ASL Airlines France and Wizz Air have all announced the introduction of new routes from the Serbian capital this summer season, while a number of airlines will boost frequencies on existing lines. I wonder what the frequencies could be on this route and can it really work out on an A320. RAM flies its Embraer to Stockholm and Vienna so BEG should be fine on the A320. The flight should be around 4 hours. Yes but isn't an A320 too much capacity? If RAM flies to VIE and ARN with Embraers with all their gastarbeiter populations I believe BEG needs a regional aircraft too. They face competition to both ARN and VIE, none in BEG. They have large diaspora in Austria and Sweden. Almost none in BEG. So what if there is no diaspora? They are not targeting those but tourists who would go there. That's like saying Air Cairo will fail in BEG because there are no Egyptians in Serbia. They are bringing Serbian holidaymakers to Egypt, same thing RAM would be doing with Morocco. If traffic from VIE and ARN where apart from tourism they also have diaspora traffic is only served by Embraers filling an A320 with just tourists will be very difficult. But is there enough demand? The embassy seems to think so. Also they want to stimulate more people to go there and visit the country. It's so sad we needed a concession for this to start happening. Do Serbians need a visa for Morocco? Yes, but it is a simple process to get one. But visas don't necessarily have to be a problem. I mean there are visas to the UAE yet people fly there a lot. There are visas to Egypt as well but people go there for holidays in big numbers. Situation with UAE is different. Unlike Morocco there is big Serbian diaspora in UAE, business ties are stronger and many people fly to DXB / AUH just to make the connection for Asia and Australia. I agree with you, if they want larger volumes of tourists visas will have to be abolished. Do Moroccans need a visa to visit Serbia? Not really, Belgrade is developing at its own pace. Should we suspend BEY flights since BUD and SOF don't have them on a year round basis? BUD, OTP or SOF airports are now far ahead of BEG. So? How does that change the fact that some routes that work year-round from Belgrade are not served from these cities? Just like BEG is far ahead of any other ex-YU airport. It's all relative. As long as BEG continues to experience healthy organic growth like we will see this year, it will both maintain its supremacy in ex-YU region and catch up with the likes of SOF, etc. All depends how Sofia performs this year. Growth is already back to normal growth of 5% to 7%. They should have around 7.1 million passengers this year while BEG will be at around 6.1 to 6.2. The gap is getting more and more narrow but it will take time. Growth was ''normal" all the time. It was just unprecedented. SOF will also have frequency increases and bigger planes (LH,LO, RO). FR will be launching KBP, MRS, TLV, CHQ, KLX. U2 are regularly sending A321neo from LGW and sometimes MAN. Growth is expected to be around 8%. Plus, lets wait for the concession next month. If MAN Group or Spanish AENA wins, it will become very interesting. TIA is growing very fast! TIA is expected to surpass ZAG and will reach BEG very soon. It is indeed the new competition. SOF growing by 6% means 400.000 extra passengers. SOF growing by 8% means 560.000 extra passengers. So in reality the gap is getting bigger and bigger. And what does all of this have to do with flights to Morocco? No one said Sofia isn't growing or that it isn't ahead of Belgrade. Chill. Let's see in a few weeks how BEG performed in the first three months and then we can compare to SOF. Let's see what happens especially since SOF grew by 5.5% in January. Let's wait and see what happens in 2019 as BEG has a much stronger lineup than Sofia. In 2019 the gap between BEG and SOF will only get wider. BEG has many additions this summer, that's a fact. The gap is likely to decrease from 1,3 million as it was in 2018 to maybe around 1 million in 2019. After all SOF needed less than 30,000 pax to reach 7 million. W6 traditionally launches new routes in September (this is when their birthday is) so lets see. That's a difference of 19 seats, which is still something. Ryanair and Wizz Air might add some flights here and there but I doubt we will be seeing a major expansion any time soon. Wizz Air is currently expanding in the West and that probably costs them a lot of money. A round of cancellations we saw in Sofia is probably a sign that they are starting to pay closer attention to their finances and that they are no longer willing to subsidize expensive battles with Ryanair in the Balkans. Naturally time will tell but I think Sofia might see an increase of frequencies from other carriers while FR and W6 will more or less stagnate after two years of wild expansion. This year, W6 are placing a 2nd Airbus in VAR and they are expanding significantly in KRK. - JP maintains 3 weekly and possible deployment of Sukhoi. However, BEG has more expansions to France, SJH, WAW for example. Also interesting to see the trend once the new Morava Airport opens in summer. Clearly SOF will grow in pax numbers this year more than BEG. BEG always had influence in the region and its leading position will take quite a while. The historical route resumptions, Vinci concession are just the beginning of a new era. Add to this the role of ASL and its expansion plans. JU expansion is key here because they are something SOF lacks and something they will never have: a whole bunch of transfer passengers. Tricky. SOF has high O&D and domestic traffic compared to BEG. BEG relies 55% on transfer and less O&D. Yet again, the O&D is also LCC and comes with larger numbers. E.g. Wizz A321 with an average of 230 passengers coming from MAD 5 times weekly. Compare this with a JU A320 from MAD 2 weekly. Simple maths. LH has barely a 7% market share though this might change in 2019. Where exactly did you find the 55% transfer number? JU has around 42% marketshare and maybe 20% of their passengers are transfers in BEG. Ok we can take MAD as an example but then we can also take BEG-BEY which comes in daily with 174 passengers in summer or 3 daily SU flights that are also packed or packed flights to Istanbul and so on. BEG has a lot of things going on for itself. SOF without a transfer market will eventually hit a ceiling. Amadeus shows FB will have one weekly flights from SOF to ATH, is that possible? That's almost nothing. Precisely, we are talking about 2 different airports with 2 different characters. The very main O&D destinations from BEG are ZRH, MOW, TGD/TIV and to some extent VIE. SOF has a larger scope of LCC O&D destinations operated by aircraft with higher seating - FR (189) & W6 (230) in certain occassions. But that doesn't mean the rest of the carriers will not respond with bigger airplanes to be more competitive. Perhaps, what comes close to BEG is RIX where BT, similar to JU has a larger market relies on transfer. SOF also never had plans to become a hub. IST is only 8 hours away by car and one cannot compete with it. Not to mention ATH. During Balkan Airlines, there was transfer, but that was a long long time ago and was for a short period. Also don't forget that Bulgaria started developing much earlier than Serbia and it didn't have wars and total sanctions that ruined it. So it takes much longer for BEG to catch up compared to other countries as Bulgaria, Romania or Hungary. Also we don't have much tourism which is a great source of foreign capital, very healthy for an economy. In time this will of course change as Serbian tourist arrivals are growing by double digits every year. I am sure it will continue as time goes by and it will also stimulate demand for air travel. What is good is that BEG has a mix of everything and that LCCs don't dominate the market as they tend to blackmail. Unfortunately, yes. But Bulgaria also had serious problems in 1996/97 - financial crisis in times where Hungary, Poland and rest were developing. The most important thing now is that both airports are growing nicely and doesn't matter how. Serbia has also developed the last decade and will even more after joining EU. Shame, I was hoping we were going to see those Morocco flights. If Air Arabia does well from Sharjah then I don't see why they shouldn't introduce flights from Morocco... Let's see what happens. Shame that JU doesn't have spare capacity, they could operate two weekly flights in summer even though Morocco is a year-round destination. I agree, if there was one airline that could have made these flights work it would be JU. Probably would be best to start with charters and then eventually introduce scheduled flights. This is a good development and I hope they decide to launch the flights. I would much prefer an LCC on this route than an overpriced legacy. If an airline which could have relied on point to point and transfer passenger decided against the route, I don't understand why the embassy thinks that an airline that relies only on P2P traffic would be successful. Their logic was probably to attract Air Arabia Maroc seeing as Air Arabia is launching flights to Belgrade. I'm very curious to see how those Sharjah flights will work out. Especially at 4x weekly. Maybe RAM doesn't have the necessary aircraft for these flights, same as JU. They have Embraers, which I think would be a good fir for this route capacity wise. Out of the box. It would be a nice addition. Nice. So they fly domestic routes too? Yes, although the frequency is not great. Fes-Marrakech is operated twice weekly this season. This will be a very busy summer for BEG. Nice to see Vinci working on bringing new airlines. I know a lot of people who went to Morocco for a holiday. They all go by minibus to Budapest and then fly. Who do they fly with from BUD? I've also had friends fly with Vueling to Barcelona and then continue to Morocco. Really nor sure this could work. Wizz Air is ending Budapest-Agadir this week because of low demand. They probably couldn't compete against Ryanair. Does FR also fly from BUD to Agadir? No, they fly to Marrakesh. I'm not sure there will be enough demand but who knows. If Tunis Air can sustain flights for the entire year maybe flights to Morocco can be sustained too. There is visa free regime between Serbia and Tunisia and flights to Morooco take longer than to Tunisia. It makes them more expensive and less atractive. Also Belgrade is already known in Tunisia as city break destination so therefore much more popular than in Morocco. There is also an actual Tunisian community living in Belgrade who use these flights. Esecially visible in winter on their flights. Plus I think it's just once per week during the winter season. I think as long as Morocco has visa policy with Serbian, the regular service is useless. Let see, but those flights not gonna last. Jedna lasta ne cini prolece. A bez laste ni proleca nema. Rodovane, Vi bi samo da se širi letove prema zemljama nesvrstane. These flight to Morocco have been in the works for several years so I'm hopeful they will eventually get off the ground. It really depends on the price. Is Morocco expensive? Year round flights can work if you have a similar situation as in Egypt when in winter it is cheaper to have a 10 day holiday in Hurghada (with great hotel and flights) then sit in Belgrade. Many people travel to Morocco during the winter, not summer. I think Morocco is a missed opportunity for Air Serbia . I think that even visa is easy to get, it is still a process. When the visa is abolished it will another story, until then I doubt the success of this route! Agree. People are not very keen on visas anymore (especially if you need to go an embassy). True and it also decreases interest for people who live outside of Belgrade. For example someone from Novi Sad probably wouldn't bother driving back and forth to Belgrade to get a visa at the embassy if they can go somewhere else without one. Its time Morocco to abandon visas for non-EU citinzens of Ex-Yu!!! Its a shame they still keep it. Can't they just introduce visa on arrival if it is a relatively easy process to get a visa? An ok. Maybe they could introduce an e-visa facility like the Indians have recently for Serbian passport holders. A few years ago no one would have thought that there is a market big enough to sustain 3 different airlines flying between Israel and Serbia. Last year, Israeli tourists were the number one in Belgrade. So you never know with these things. Israelis have money, Moroccans and Serbians not so much. Morocco is very cheap, Serbians can afford it. Spain, parts of Croatia and Italy are not affordable yet due to the high prices. No wonder also why Serbs go to Egypt because it's cheap. A missed opportunity for Serbian Air again. JU could have easily launched RAK and/or CMN. Missed opportunity for Aviolet, too. ASL needs more aircraft to launch all those extra routes. Also Morocco flights are longer than LHR or Scandinavia. You can fly to ATH, or to MUC and back for the time it takes a plane to reach CMN or RAK. So I believe they are doing the best they can with their limited fleet. What would be the duration of flights from Belgrade to a city in Morocco? Depends on the city but around three and half hours. More and more airlines coming to BEG. Nice to see. LCC's have discovered Morocco, it can work from ExYu too. 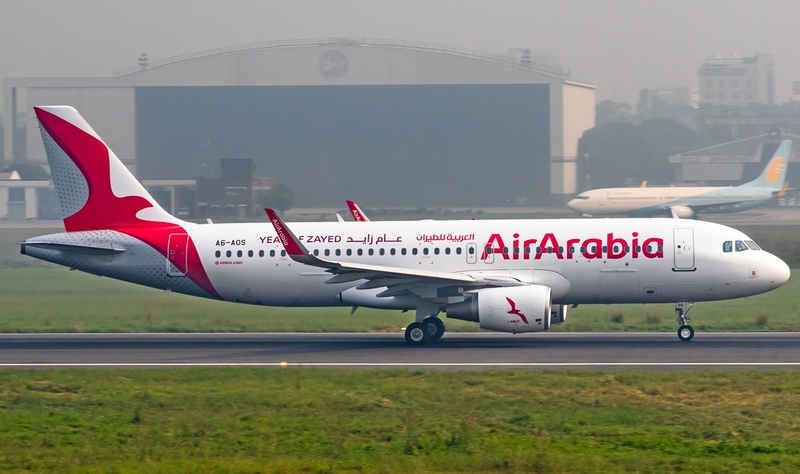 Air Arabia MOROCCO has a Moroccan AOC. It is not your Emirati airline by a Moroccan subsidiary. Congo, Gabon Senegal no visa and Serbia yes? Come on, dude! Probably because Congo, Gabon and Senegal also offer visa free travel to Moroccans. If we allow them visa free travel we will have an illegal emigration problem. That is why Moroccans although they offer visa free travel to EU citizens they have to get a visa to travel to the EU. Until then, Moroccans will still need a visa, I think. If they open a route to Belgrade then they should do it from Marrakech .